News that Palestine and Israel have committed to a new round of US-brokered negotiations has been met with a mix of curiosity and caution. No surprise there. We’ve seen this show before. While it is undoubtedly useful to be positive and have “hope”, no one is really willing to bank on the fact that these negotiations will finally conclude the world’s most protracted conflict. We’ve been disappointed too many times. Even Martin Indyk, the US’s chief mediator in the talks, was careful in stating that these talks pose “a daunting and humbling challenge.” Apparently, Israeli media was more interested in the birth of a British kid called George than the announcement that peace talks would resume. No one seems to be holding their breath although, who knows, maybe that fact will be a conducive element in the talks. Still, just a few short months ago it appeared very unlikely that Palestine and Israel would get to the negotiation table. While many are attributing the beginning of the negotiations to US Secretary of State John Kerry’s “six official visits to the Middle East in an effort to restart the negotiations”, it could easily have been twelve or twenty. And regardless of how many trips he made, they could easily have resulted in failure. Senior officials from the White House and State Department said that Palestinian action against Israel at the United Nations is highly unlikely so long as negotiations continue. “It’s no secret that one of the motivating factors, I think for everybody, was to avoid that sort of train wreck that would have happened if we weren’t able to get negotiations started,” a senior White House official told reporters. These comments are notable for a number of reasons. First and most obviously, they represent the extent to which the ICC matters in global politics. This is credit to the Court’s permanent role in international relations. The ICC matters and it matters a lot, even if it isn’t always in the way that the Court would like and even if it doesn’t always make the Court’s life easier (see below). Second, the comments represent the clearest indication of how fiercely the US government feels about any potential ICC intervention into Palestine. We’ve known for sometime that many Western states and especially the US and Canada (yes, Canada) have threatened ‘consequences’ if Palestine moved forward. But the use of the phrase “train wreck” really brings home just how strongly the US feels about the ICC getting involved. Third, the report indicates that the Palestinian Authority may have successfully leveraged the ICC to gain some advantages in the talks (although what those are isn’t entirely clear). 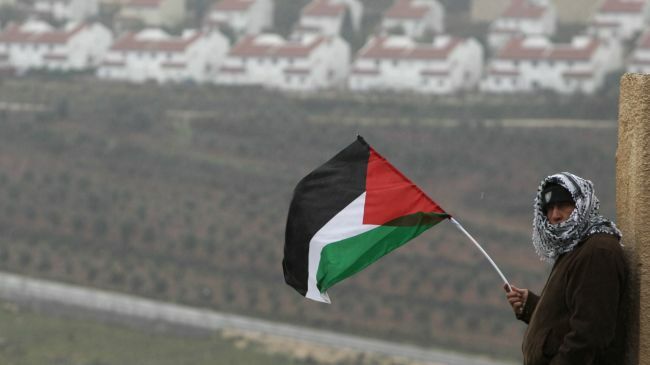 The PA’s promise not to pursue an ICC referral has been described as a “gesture” of good-faith to the US and Israel. The White House official’s comments suggest that the US was convinced that Palestine would have proceeded with a referral if peace negotiations did not get underway. Of course, that won’t make ICC proponents happy. Many are allergic to the Court being used, manipulated and politicized. As a weak state with very few devices of leverage, the PA saw an opportunity to use its potential self-referral to ICC as a tool in peace talks. I would also caution the Palestinians to be careful what they wish for. Joining the ICC would be a good idea, but referring the situation in Gaza might not be. From a legal perspective, the OTP would have a much easier time prosecuting deliberate Palestinian rocket attacks on Israeli civilians than prosecuting disproportionate Israeli attacks on and Israeli collective punishment of Palestinian civilians. 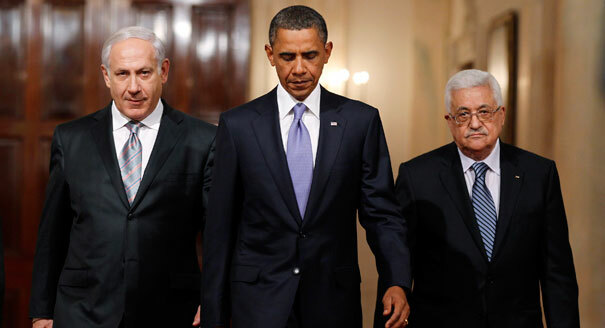 In the end, putting the whole ICC issue aside suits the American, Israeli and even Palestinian governments. It probably also suits the ICC which, in general, has shown a reluctance to intervene in complex conflicts where there interests of major powers collide. Of course that leaves the ever-present question: does it serve the victims on either side of the war? The cause of international criminal justice has been useful for the Palestinian Authority. Now that they’re back in peace talks with their Israeli counterparts, justice appears to be off the table. But achieving peace at the expense of justice is a bet the PA appears willing to make. Given the coercive diplomacy and threats from the US and others about what pursuing justice would mean, perhaps they have little choice. Or perhaps there is reason to believe that peace between Israel and Palestine now can avert future injustices on both sides. After all, the status quo has been unable to achieve either peace or justice. This entry was posted in Israel, Palestine, Palestine and the ICC and tagged Middle East Peace Process. Bookmark the permalink.